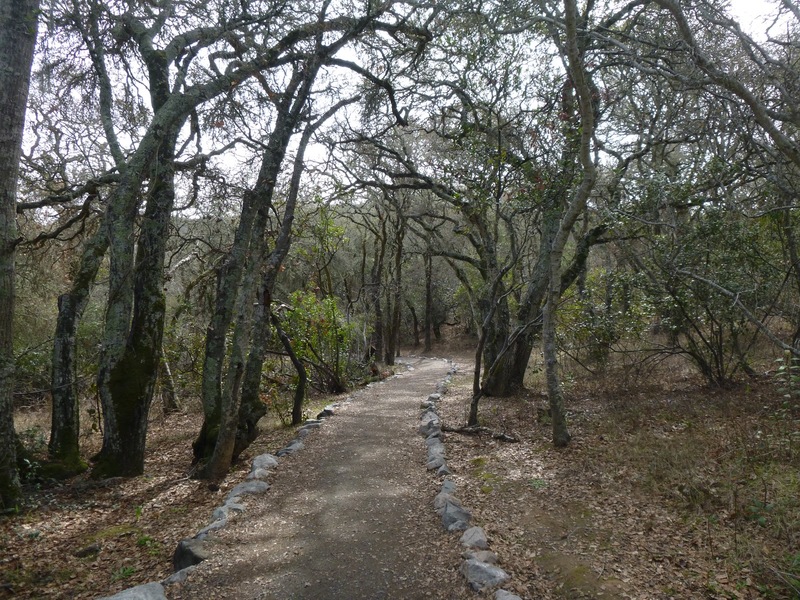 2.5 miles of scenic mixed woods, pockets of chaparral, and grassland, near Redwood City. Late winter flowers thrive in these lovely woods and manzanita is blossoming in the chaparral. Pulgas is small but diverse, so it's fun to hike here year round (although I tend to stay away when the temperatures soar above 70). Extend this hike 1.3 miles by substituting Dusky-footed Woodrat Trail for Polly Geraci. This option offers more elevation change as well as longer stretches of woods and chaparral. Pulgas is very canine-friendly -- if your dog likes to romp, there is an off-leash dog area on Hassler Trail. Pulgas is hike number 47 in 60 Hikes in 60 Miles: San Francisco (third edition). Read about this hike on BAHiker. When March weather is lovely and warm, my thoughts lead to camping. If you are so inclined, consider a quick weekend getaway to Del Valle Regional Park, near Livermore. There are several options for hikes through oak-studded grassy hills surrounding a reservoir -- here is my favorite.